WASHINGTON (Reuters) - Boeing Co will mandate a previously optional cockpit warning light as part of a forthcoming software update to the 737 MAX fleet that was grounded in the wake of two fatal crashes, two officials briefed on the matter said Thursday. Boeing previously offered the AOA DISAGREE alert, which warns pilots when the "angle of attack" (AOA) readings do not match, but it was not required by regulators. Boeing will now retrofit older planes with the light that did not initially receive it, the officials said. 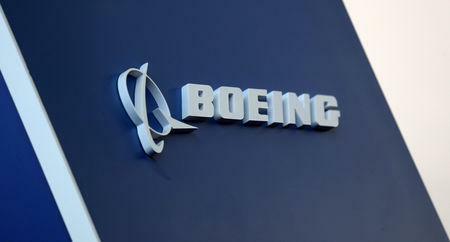 Boeing did not immediately comment Thursday. There has been a long-running industry debate about how much information should be displayed in the cockpit, notably about the angle at which the wing is slicing through the air. Federal prosecutors, the Transportation Department's inspector general and U.S. lawmakers are investigating the Federal Aviation Administration's certification of the 737 MAX. The FAA declined to comment on the software upgrade Thursday but said last week it planned to mandate "design changes" coming from Boeing in its software upgrade by April for the 737 MAX. 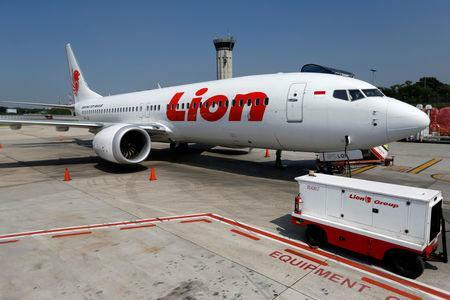 Indonesia's Lion Air did not install the warning light. Lion Air Fight 610 crashed in October minutes after takeoff, killing all 189 onboard. The company told Reuters in November it did not install it because it was not required. The angle is a key flight parameter that must remain narrow enough to preserve lift and avoid an aerodynamic stall. A faulty AOA reading led the doomed Lion Air jet’s computer to believe it was stalled, prompting the plane’s anti-stall system, called the Maneuvering Characteristics Augmentation System (MCAS), to repeatedly push down the plane's nose. The planemaker has come under fire in the wake of the Lion Air crash for not outlining the automated system, MCAS, in the flight manual for the 737 MAX.